The hot Metro Vancouver housing market has plenty of empty homes waiting to be redeveloped. Instead of letting them go to waste, one B.C. developer is putting them to good use. A few years ago, when one of his properties was awaiting city approval — a process which can take up to 12 months — Clive Alladin of Balandra Development in Richmond came up with an idea. Why not offer the vacant home as a temporary shelter for women and children who are fleeing domestic violence? He pitched the idea to Chimo Community Services, a Richmond non-profit group that helps people through crisis and transition, and a partnership was born. 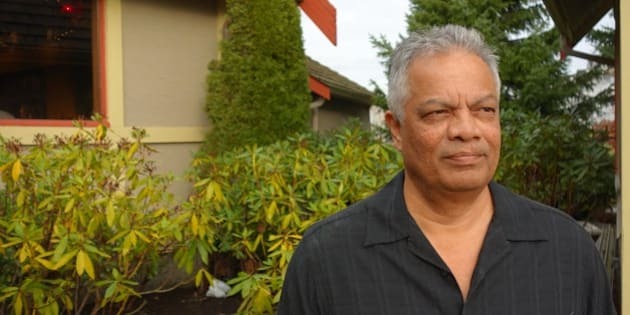 "With these [vacant homes] available, it gives them that little space before they get themselves on their feet and settle down," Alladin tells The Huffington Post B.C. "It's a very traumatic experience being in a domestic violence situation and leaving, especially when there are kids involved or it's immigrant families and they don't know how to access the different services available to them. [These homes are] a nice buffer for people in need." Chimo operates a 10-bed transition house, but executive director Mark Miller says that facility turns away a couple hundred people a year. With the addition of Alladin's vacant homes — as well as those of Ken Reddy at Reddy Developments — he estimates they've been able to help an additional 19 people in the last six months alone. And while the homes are only temporary, they can offer those in crisis enough time to get back on their feet. "To you and I three or six months' accommodation might not sound like much, but if you're not sure where you're sleeping tonight or next week, it's a long time," Miller says. "What it offers, especially for an organization like ours, is a chance to start to help them in a real structured way. We're able to have them in a house and start to help them with applications for social assistance, applications for housing, sometimes legal issues, whatever they might need assistance with. We're able to work with them and in the meantime keep them safe." The first home used in the partnership was one of Alladin's; it went to a mother and four children who were fleeing a violent home life. Alladin says these temporary living situations are key because often times a woman will stay in an abusive relationship because she has nowhere else to go. And it's good for the developers, too, he adds. "The fact is there are many houses like this that sit there: they get vandalized, they get broken into, sometimes they are set on fire," explains Alladin. "It gets very costly for the developer to dispose of a house that's been burned to the ground. So it saves the developer a lot of headache to have someone in there." Each temporary housing situation is different: sometimes the tenants pay a small portion of rent, while other times the space is completely donated. The developer takes care of the property insurance and water payments, and the rest is arranged accordingly through Chimo and the government. Through these partnerships, Chimo has also been able to help homeless men, putting a group of them together in a vacant house. "It's so much better to have someone make use of it and be safe and secure and try to get on to the next step in their lives," says Alladin. He says he's tried telling his fellow developers to follow suit, and though many agree it's a good idea, it can be hard to actually get them on board. But as Miller points out, "The reality is, there are a lot of people out there who are simply falling through gaps in different systems." So why not give them somewhere to land? "It really is kind of a no-brainer," he says. "There are vacant houses and there are homeless people. It's a matter of getting everyone together to do something about it."